We often recommend to our clients the value of running a strategic and integrated marketing campaign. What we find in our conversations however is that many clients don’t quite understand the scope of such an initiative. Strategic, integrated marketing plans take many forms. Today, we will be referencing one type of plan that is heavily digital in nature, and will walk readers through the thinking and ROI of implementation. Master Samurai Tech, a national online appliance repair school and one of our clients, wanted to increase their digital presence and drive more enrollments. They knew when they started the company in 2014 that they were addressing a relatively unmet need, training for appliance repair techs, which few trade schools offer, particularly training with an emphasis on electrical troubleshooting. Master Samurai Tech hired our team of marketing experts to increase course enrollments by expanding their reach and keeping the brand top-of-mind among prospects. We were able to do just that by implementing a six-prong digital marketing campaign with the primary goal to MOVE PROSPECTS THROUGH THE MARKETING FUNNEL. It was that goal, coupled with Master Samurai Tech’s trust in our expertise and openness to new marketing approaches, that allowed the campaign to be so successful. The campaign started out with a website refresh in order to make the site look and feel more like an education-focused website. After all, our marketing efforts sought to direct people to the website, home of their online appliance repair courses, so addressing that online property first and foremost was critical. As part of the website refresh, we refreshed the website’s search engine optimization (SEO), ensuring pages were optimized for key search terms. Once the website refresh was complete, we rolled up our sleeves to begin the additional digital work. To explain our thinking, we’ve organized the digital projects according to how they fit within the marketing funnel phases, to help you visualize the process and “see” the value as results started rolling in. To bring awareness to the brand, we first launched a paid search campaign on Google to put the brand in front of people who were actively searching for appliance repair training, schools, courses, etc. Several keywords were researched and identified to use in the ads based on volume of searches and client budget. When executing paid search campaigns we are mindful of getting the most bang for our client’s buck by ensuring that ads are delivered based on relevant searches and ads don’t appear for searches that don’t align with the search intent. The result: We were able to generate a 15-17 percent click-through-rate (CTR), significantly higher than the industry average, accounting for 14% of all traffic to the website. Couple that with a 105% increase in organic search traffic (a well-designed website does wonders for search visibility), and MST’s visibility was through the roof. Several content pieces were developed to reach people in the consideration phase of the funnel. These individuals are considering investing in the brand/company and need further nurturing to move them to conversion. To nurture prospects through the consideration phase, we created lead magnets. Lead magnets are pieces of content that can have a number of aims — “leveling up” the prospect with knowledge and skills, clarifying their problem and the options available to solve it, or offering specific insight into your product or service — and are often offered, as in this case, in exchange for a name and contact info. The lead magnets we created included an enticing quiz for those closer to the top of the funnel, testing their knowledge of appliance repair, and sample courses for those closer to conversion, giving prospects a glimpse of how the online courses worked and what they could expect to learn. Several retargeting and display campaigns promoted these lead magnets (including Facebook and Appliantology, their sister site and the largest online appliance repair forum). The messaging and lead magnet of each ad was aligned to the channel, audience, and place in the funnel. The multi-channel approach allowed us to “blanket” prospects with targeted ads wherever they went, keeping Master Samurai Tech top-of-mind and ensuring leads were captured. The result: More than 1,800 leads were generated from the lead magnets in 2017 alone. Now that people were AWARE of the brand, have been attracted by lead magnets to CONSIDER the product/service, it’s time to convert them from site visitors to paying customers. This is usually the hardest part about digital marketing–or marketing in general! 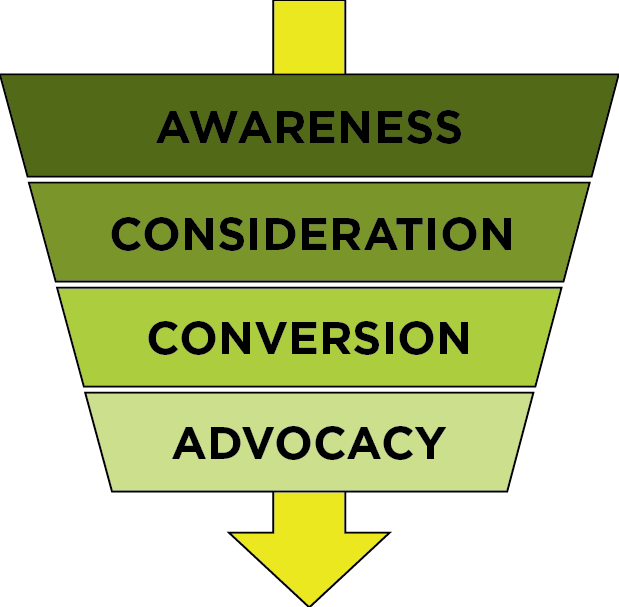 While enrollments can and do occur at any stage of the funnel, many prospects stay a step away from converting, and it takes time and continual, gentle reminders to get them to take that final step. When prospects sign up for a lead magnet, it triggers an automated email nurturing sequence that provides more information about MST and eventually culminates in an introductory promotional offer. They are also added to the MST newsletter to receive more appliance repair tips, continuing to level them up and building their affinity for the MST brand. The result: 54 percent of course enrollments were attributed to the lead magnets and nurturing sequences. Now that prospects have finally enrolled and receiving much-needed and much-appreciated training, the final step is to turn these paying customers into advocates for the brand. For MST, this involved securing course reviews on their website. MST began by reaching out to technicians who were already brand advocates and personally requesting they leave reviews on courses they’d completed. Courses ended with a request for a review, and automated emails were also sent requesting they leave a review. Once the first few reviews began to roll in, more followed. The result: Master Samurai Tech has, in half a year, gone from no reviews to well over 100, and growing every month. Even better, they’re rocking a 5-star average for all their courses. That type of brand ambassadorship creates loyalty among current students and shows new prospects how valuable MST’s course offerings truly are. What made this campaign so successful was the STRATEGIC THINKING around how to move prospects through the entire marketing funnel. Furthermore, the INTEGRATION of channels ensured we reached prospects at all stages of their journey, wherever they happened to be online. And it worked! Philosophy was able to increase MST’s enrollment from 30 to 70 per month on average–a 133% increase. Now that’s how you shape thought.